Unlike many photography and commercial design websites where the viewer is only given a brief, often tiny view of client work, we have put together an extensive gallery of photographs for your online viewing. Why? Because Webphotographix believes that it is important for you, our clients, to get a good look at the crystal clear, quality work we produce. We want you to feel comfortable and secure in requesting our creative services for your next project. From our work, you will see that Webphotographix provides professional, high-quality photos, with the creativity and skill you would expect from a big ad agency or photo studio. However, our team is small, and so our prices are much less. 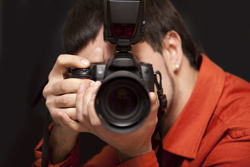 We offer photographic expertise in capturing your best side on camera. But don’t take our word on it. View our photo gallery and see for yourself! Click on the various Gallery links below to view photographs from each collection. For Webphotographix photography, the price depends on the complexity of the work. As each photography project is unique, and place, time and equipment is varied, our prices are specifically tailored to you. Please send us an email, where you provide specific information about your photography needs and project requirements, so that we may give you an accurate price. (with a two hour minimum).